For example, while hundreds of gas giants of varying size have been detected (which are easier to detect because of their size), numerous planets have also been spotted that are similar to Earth – aka. "Earth-like". These are what is known as terrestrial planets, a designation which says a lot about a planet how it came to be. The term terrestrial planet is derived from the Latin "Terra" (i.e. Earth). Terrestrial planets are therefore those that are "Earth-like", meaning they are similar in structure and composition to planet Earth. Io and Europa are also satellites that have internal structures similar to that of terrestrial planets. 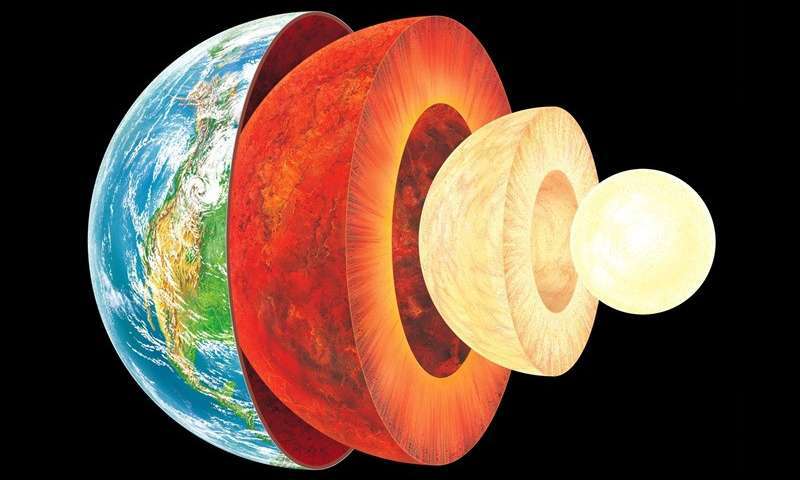 In the case of the former, models of the moon's composition suggest that the mantle is composed primarily of silicate rock and iron, which surrounds a core of iron and iron sulphide. Europa, on the other hand, is believed to have an iron core that is surrounded by an outer layer of water. Most of the planets detected outside of the solar system have been gas giants, owing to the fact that they are easier to spot. However, since 2005, hundreds of potentially terrestrial extrasolar planets have been found – mainly by the Kepler space mission. 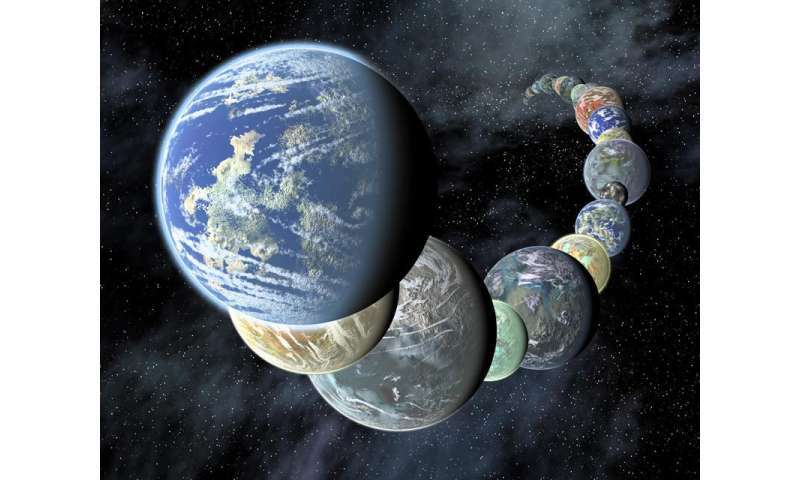 Most of these have been what is known as "super-Earths" (i.e. planets with masses between Earth's and Neptune's). The first confirmed terrestrial exoplanet, Kepler-10b – a planet with between 3 and 4 Earth masses and located some 460 light years from Earth – was found in 2011 by the Kepler space mission. In that same year, the Kepler Space Observatory team released a list of 1235 extrasolar planet candidates, including six that were "Earth-size" or "super-Earth-size" (i.e. less than 2 Earth radii) and which were located within their stars' habitable zones. And then there are carbon planets (aka. "diamond planets"), a theoretical class of planets that are composed of a metal core surrounded by primarily carbon-based minerals. Again, the solar system has no planets that fit this description, but has an abundance of carbonaceous asteroids. For one, we have come to understand that the size and scale of planets is greater than previously thought. What's more, we've seen for the first time that many planets similar to Earth (which could also include being habitable) do in fact exist in other solar systems.